Nearly ten years to the day that Manchester’s Victoria Baths was voted winner of BBC’s Restoration, on a rainy Thursday evening I found myself sitting in the deep end of a 107-year-old swimming pool, drinking a pint of Speckled Hen and listening to someone making whale noises with a laptop and a cello. 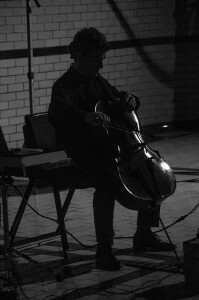 Cellist Matthew Barley‘s interest in “blurring the boundaries that never really existed between genres and people” has seen him work with artists as varied as Julian Joseph, Kathryn Tickell and Nitin Sawney. His love of mixing repertoire was very much in evidence here. 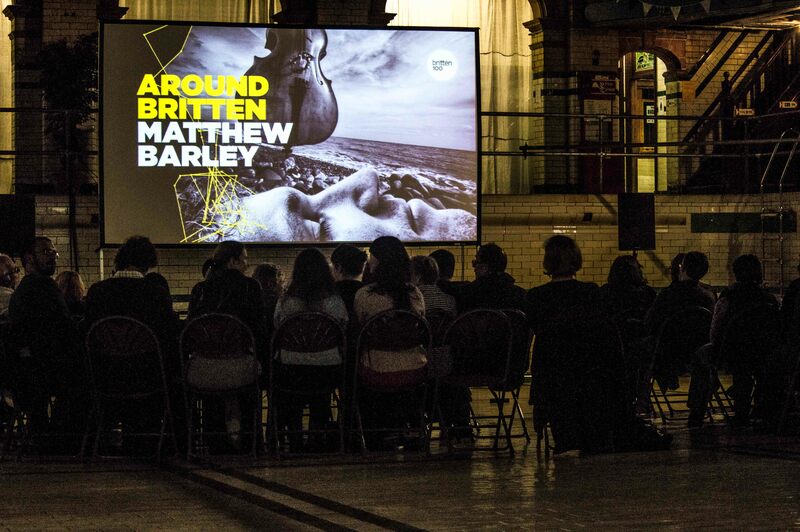 Barley is promoting an album titled Around Britten which celebrates the centenary of Benjamin Britten’s birth and, although the composer’s Third Suite for Cello was the centrepiece here, there were other highlights too. Bach’s Suite No. 5 in C Minor was stunning. I often find Bach’s more popular cello works can be overwrought (and, in the case of his Cello Suite No. 1, overused). This piece requires the player to tune the top string down a tone in order to darken the sound of the instrument and enable chords to be played more easily. This was subtle, sprightly and delicate, displaying Barley’s mastery of his craft – and no little humour. Dai Fujikara’s The Spirit of Beings was written specially for this tour, and features the whale noises I flippantly referred to in my introduction. In all seriousness, this was a treat – the cello at times did indeed sound like whale song but, having been written at the time of the composer’s impending fatherhood, this was more like a birthing experience. Beautiful and submersive. The electronic backing tracks for the four distinct movements were put on shuffle so the player had no idea in which order they’d come, giving a spontaneity to each performance and echoing the thematic idea that, as Fukijara puts it, “a child is a spirit waiting to be born”. In a sense, each night the music is born once more. 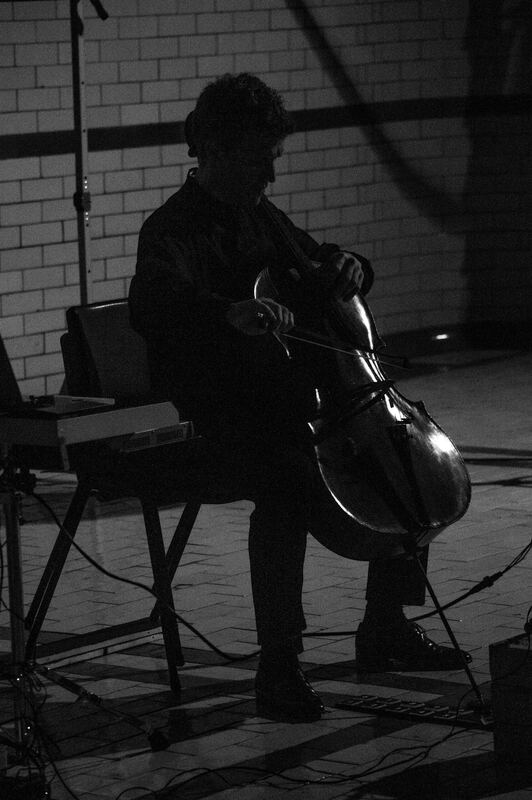 The main meat of the evening was Britten’s Third Suite For Cello, accompanied by visuals created by production company Yeast Culture. Reminiscent of 70s and 80s Polish animation, beautiful seascapes were executed in broad brushstrokes in oils; an old woman, hunched and cold, was rendered in only three or four well placed lines of paint, and terrifying bears roared off the screen. This was spectacle enough, were it not for the added interest of the venue itself. Highlight of the evening for me was a short work written by Gavin Bryars, a composer best known for his collaboration with Tom Waits, Jesus’ Love Never Failed Me Yet. Tre Laude Dolce is one of a number pieces written based on the format of the “lauda”, a sacred medieval song written for solo voice or instrument. Barley played this with such an expansive style it was impossible not to conjure up cinematic images of desolate vistas, or to dwell in nostalgic rememberings and delicious moments of melancholy, longing and loss. You really can’t argue with that.